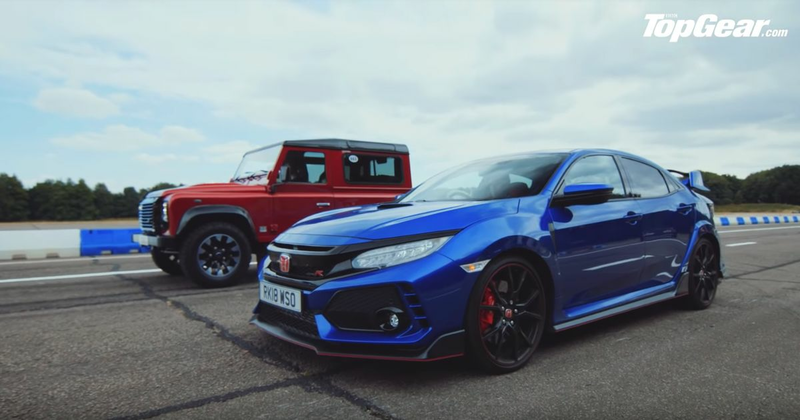 On the face of it, getting a 316bhp Honda Civic Type R together with a Land Rover Defender Works V8 seems like an odd choice. 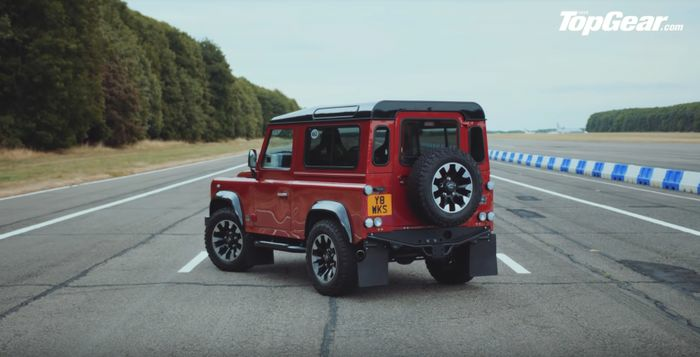 But that 5.0-litre N/A V8 in the £150k Landie (yep, it’s really cost that much) has to work against a kerb weight approaching two tonnes and the less than ideal aerodynamic properties of what’s essentially a box with wheels, which means the power advantage is neutralised. That makes this race unbelievably close. Whoever decided to dub over the noise of what sounds like a Audi R8’s V10 and McLaren V8 of some sort at the 36-37sec mark needs a stern talking to, but regardless, this is one very interesting straight-line tussle.